To find Franklin Lake Campground, follow the Heritage Drive Scenic Byway to one of the most popular camping areas in the Nicolet located on the shores of crystal-clear Franklin Lake. 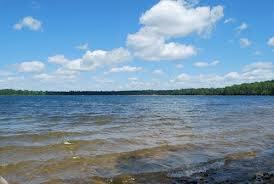 This 881-acre lake provides excellent swimming, boating, and fishing. 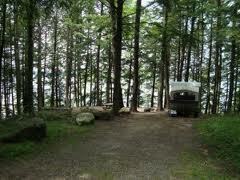 Historic stone and log structures and campsites mixed with tall pines and hemlocks are perched near the lake’s edge–a beautiful setting for this campground that is on the National Registers of Historic Places. An interpretive center and naturalist programs are featured throughout the summer. 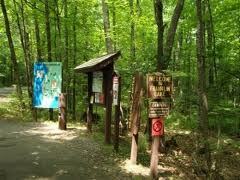 In addition,¬†a one-mile interpretive trailwhich passes Butternut Lake is available for every season. Numerous other trails are nearby, including the¬†Hidden Lakes Trail¬†connecting to¬†Luna-White Deer Campground, as well as¬†a six-mile trail¬†to¬†Anvil Lake Campground. 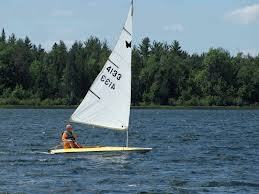 Property and Accommodation Detail: Campground-Public, On Water, Disabled Access, Swimming- Lake, pond, river, etc.